There’s still a little fog in the harbor leftover from this weekend. The end. 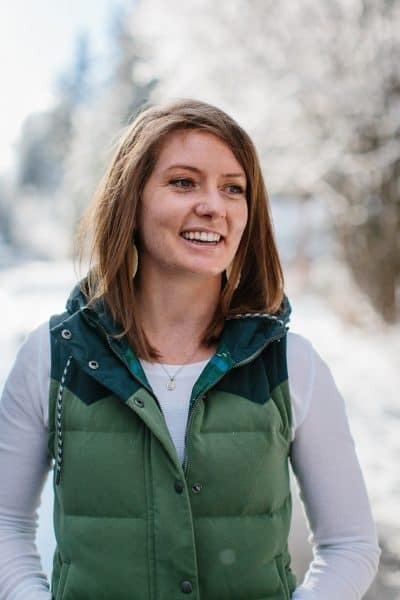 When my clothes are sticking to my aloe vera-drenched skin (does stickless aloe vera exist? Anyone, anyone? ), I’m running dangerously low on Claritan, my hiking wounds are healing, I’m curled up in a ball while typing, you know that I’ve had a dern good weekend and that you’re getting a funky fresh burger out of it. What a mighty good man…check out those muffins in the background!! Certain recipes should appear like candygrams at your house. I wish I could candygram the crap out of these turkey burgers. Don’t be surprised if you hear a knock at the door and upon opening it, Paula Abdul’s song, Rush Rush begins to play and a southwest turkey burger saunters in and sits its cheeky self on your plate. If I could mass distribute this sight for sore eyes, you bet your bottom dollar I would! And that says a lot considering I’m not into sharing food. Since you didn’t complain about my photos of raw meat during my How to Braise Chicken post, I translated your polite silence into a desperate plea for more. To make this gem, you sauté southwest goodies, smash them into large and in charge turkey burger patties, cook those suckers on a cast iron skillet, and that’s how your milkshake brings all the boys to the yard. Ohhhh that’s foul. Get it, fowl? What a knee-slappin honky tonk we’ve got going up in here! And if the southwest turkey burger patties don’t make you want to put on M.C. Hammer pants and throw down some Hammer time, the chipotle yogurt sauce will. My my my my. I like to use La Costena Chipotle Peppers in Adobo Sauce for all of my chipotle-ing needs. Using yogurt in place of cream or mayonaise is brilliant and healthy. Plus mayo is disgusting. 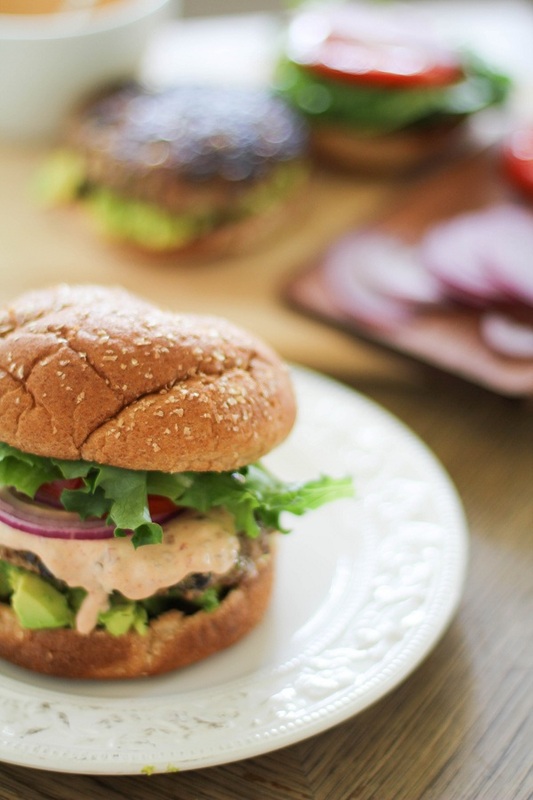 Hail to the chipotle yogurt sauce, the sauce that makes a good burger gooderer. During an (a? an? Have we decided if dubbelya is a vowel yet?) which-burger-did-you-like-better session, I learned that the man stack liked the southwest turkey burger better than the Lamb Burgers with Mint Pesto I made a little bit ago. Which is a decision I find impossible to make but when the man talks meat, you listen. This is crazy. Make it! Crack open a can of chipotle chilis in adobo sauce. Chop three of the chilis. Add the chipotle chilis along with 1 tablespoon of the adobo sauce to a bowl with the rest of the ingredients. Stir to combine. In a medium-sized skillet, heat the olive oil over medium heat and add the chopped onion. Saute until the onion begins to sweat, soften and becomes fragrant, about 8 minutes. Add the jalapeno, garlic cloves, salt and cumin. Saute another 3 to 5 minutes. Add the corn and sauté and sauté until corn kernels are plump and cooked, another 3 to 5 minutes. Add the black beans and continue to cook, stirring consistently just until black beans are hot. Set the sauté pan aside and allow everything to cool to room temperature. Once the sauté mixture has cooled, combine it with the ground turkey meat in a large mixing bowl. Use your hands to mix the meat and sautéed veggies together. Form three burger patties. In a cast iron skillet (or regular skillet), heat 2 tablespoons of oil to medium-high heat. Flip the burgers and cook them on the other side until the burgers feel firm when poked and are cooked all the way through, another few minutes. Toast the buns in the oven under your broiler. Roughly chop or smash an avocado and distribute it between three burger buns. 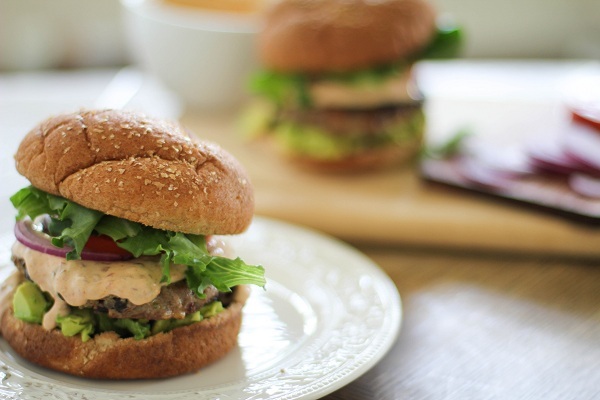 Set patties on top of avocado, douse with chipotle yogurt sauce, add fresh tomato, red oniton and lettuce to your burgers and slurp it up! I used Diestel Turkey for the meat and definitely recommend it for your turkey burger pleasure. Somthing’s missing, something’s missing….oh yeah, the wine! Turkey burger candygrams would be the best thing ever! I’ll take a burger for one hand and a muffin for the other. K. Thanks! Gorgeous gorgeous pictures! Everything about the burger sounds fantastic especially the Chitpotle yoghurt sauce. Healthy and delicious. Can’t wait to try it out! Love. These. Burgers. Everything in them and on this is just awesome! YUM! So glad you hade a great weekend! I love a good turkey burger. These sound fantastic. That chipotle yogurt sauce sounds spoon worthy! I would definitely put on my Hammers pants to make these bad boys!! this burger has it all! Burger-grams, the next big thing – you’re on to something there, sign me up! 🙂 The delivery person should have to do the “typewriter” move in hammer pants before giving you your burger haha! This yogurt sauce sounds perfect! I LOVE a spicy sauce with my sandwiches :). You had me at chipotle yogurt sauce. What an awesome burger! 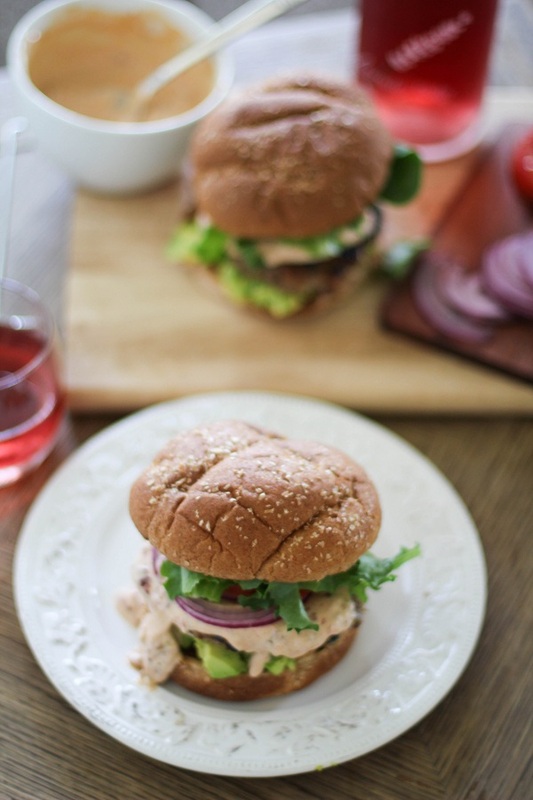 Turkey burgers always need “stuff” to keep them from being hum, drum…and I love the “stuff” in these burgers! I do disagree with you about mayo though, I heart mayo; but there sure ain’t nuttin’ wrong with that Chipotle Yogurt Sauce! That comment just got weird. Um, yes please! These photos looked mouth-watering good. I wish it wasn’t 10:00 at night. If it were a wee bit earlier, I would go to the store and make these for Ryan and me! Thank you for sharing. I’m putting this on our grocery list! Love these burgers, that sauce sounds incredible! 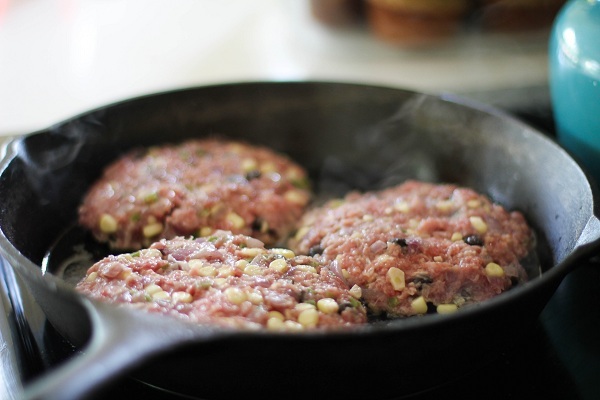 Burgers in a cast iron skillet? Sign me up! 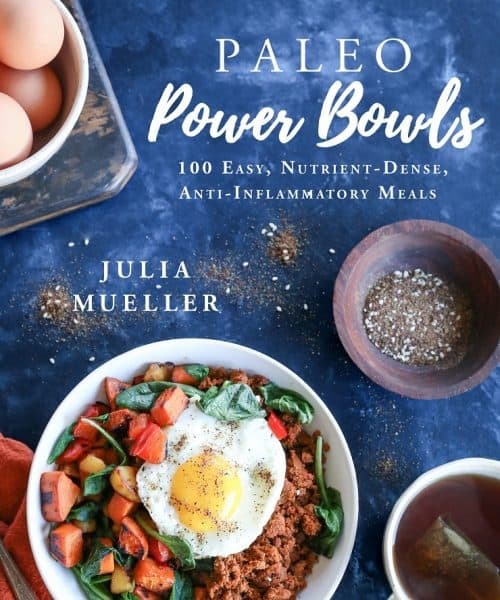 Alright…I’m waiting by the door in my MC Hammer pants hoping you’ll be bringing this to me…but since I’m in Georgia, I’m gathering that I just need to head to the store and get myself what I need to make these delicious looking burgers. My man will be nutso about the chipotle yogurt sauce! 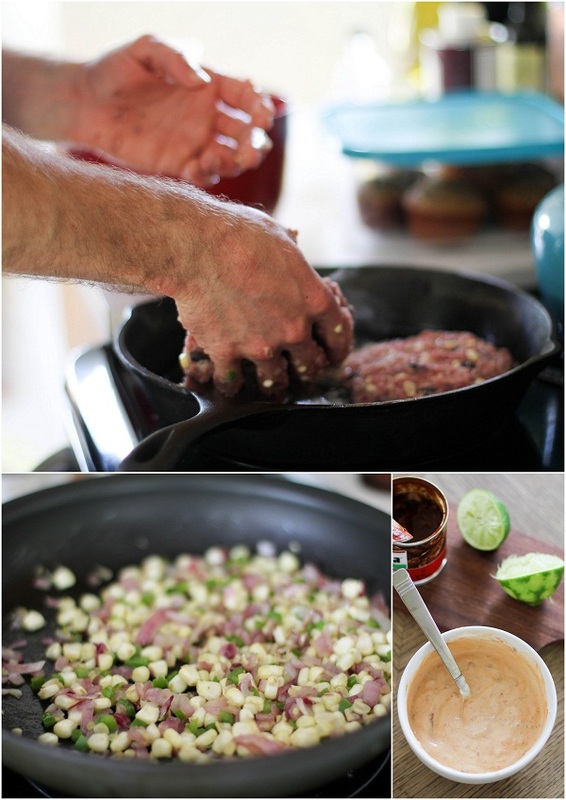 I like the added saute mixture to the burgers! I just thought I’d share this was absolutely the most delicious turkey burger I’ve ever had!!! It was seriously unbelievable. I know I know chipotle sauce it so easy to make, but with your version of opting for Greek yogurt instead of mayo and the splash of lime was as Guy Fieri would say was ‘out of bounds’ :). I highly recommend anyone and ALL to make this. The only thing I changed was I did ours in the oven – 375 for about 32 minutes and added some sliced pepper jack and sharp cheddar in the last bit. Zippadee doo daaaah! I’m so happy you made and loved the burgers! I make all of my burger-related sauces using greek yogurt and I like them better than mayo-based sauces too…the texture and flavor seems to be better than mayo. I’ve never made burgers in the oven, so I’m definitely going to try this trick. And why didn’t I think of pepper jack?? That is, after all, my favorite cheese! Thanks so much, Kristin! I second the oven method but I did brown them on my cast iron grill first to give them that”authentic” grilled look. 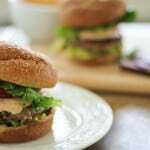 This was the first time I have ever tried turkey burgers and I see no reason to stay from this fantastic recipe. Even my very picky son and even pickier husband loved them. The pepper jack will have to wait for next time, but it will be offered for those cheeseheads in my house. Great suggestion. Thank you soooo much for sharing. Pinning this to the Iowa Turkey Federation’s pinterest boards! Looks amazing! These were awesome! We did them on the grill and melted a slice of pepperjack over them. Thanks for the recipe!